Now that Disney has officially acquired 20th Century Fox and all its assets, the House of Mouse has made it clear just how much of pop culture falls under its roof. 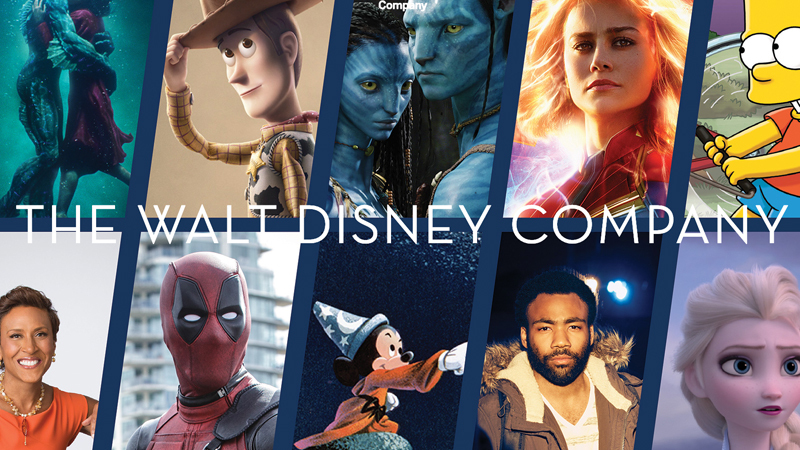 As The Hollywood Reporter pointed out, a quick trip to TheWaltDisneyCompany.com reveals the usual Disney animated favorites along with characters from Star Wars and Marvel Studios, now side-by-side with Deadpool, Avatar, The Simpsons, Atlanta, and the happy couple from the end of The Shape of Water. That’s… certainly a diverse offering of entertainment. Along with what’s pictured, it will also control the rights to the Alien and Planet of the Apes franchises, as well as live-action series, including NBC’s This is Us, ABC’s Modern Family and Fox’s longtime adult animation mainstays The Simpsons and Family Guy, which are respectively in their 30th and 17th seasons. So, Disney now owns Fox’s film and TV studio, both the FX networks, National Geographic, Indian TV giant Star India, and about 60% ownership of the streaming service Hulu. Though it will have to sell 22 sports networks stateside, along with sports networks in Brazil and Mexico as part of the regulatory approval, as well as its stakes in both Lifetime and History networks in Europe. As far as what it’s keeping, Disney may or may not be phasing out Fox properties that do not fit with their particularly family-friendly image. Of course, it could mean an expansion as to what Disney “means,” though only time will tell what precisely they company will do—or not do—with its wide variety of newfound properties. The post Disney Homepage Filled with Character Acquisitions After Fox Merger appeared first on ComingSoon.net.